A delicious red pepper salad dressing can be made quickly and easily. First you need to take the peppers and finely chop them. Once you have done this take the mustard and mayonnaise and add to the mix before placing in the fridge. To make your roasted red pepper and garlic salad dressing, first coat the peppers in olive oil before placing in a preheated oven at 220 degrees C or gas mark 7 for approximately 35 minutes. Once the red peppers have been well roasted remove them from the oven and place on one side, allowing them to cool off. Once the peppers are cool enough, take them and remove their skins and stems. Next, using a blender, mix the oil, peppers, mayonnaise, garlic, cheese, basil, vinegar, salt and pepper until they are smooth. Once this has been done, place the dressing in a fridge. 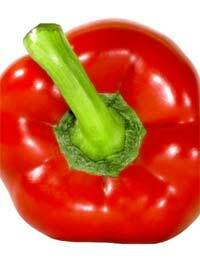 Apart from dressings, red peppers make a delicious ingredient in salads. A good example of this is the black bean and red pepper Brazilian salad, than can be made in approximately an hour. To make your black pepper and red pepper Brazilian salad you should first take the beans and place in a bowl, before covering well with water and leaving them to soak for approximately 8 hours. Once the beans have been soaked sufficiently take them and drain off the water they were soaking in before covering them with fresh water and placing them in a pan. Next add a clove of garlic and bring the beans to boil. The beans should be cooked for approximately 50 minutes. It is important to check that the beans are tender, but not soft. Once the beans are tender drain them and remove the garlic clove before placing in a bowl. During the time taken to cook the beans, you can take the carrots, along with the red and green peppers, and chop and dice them. Once they are all chopped and diced add them to the beans and mix in cumin, water, rice wine vinegar and the other ingredients. Next mix the vegetable and bean mixture, along with the rice wine vinegar, and, using a covered bowl, place in the fridge until you are ready to serve.